"In the winter time, when all the leaves are gone....."
These photos were taken at sunset, March 02, 2009 following some rare wintry weather, obviously. Jomeokee Trail-one mile moderate hike loops the pinnacle base. Little Pinnacle Overlook-.1 mile easy hike provides the best view. Sassafras Trail- .5 mile self-guided nature loop trail. Ledge Springs Trail-2 miles and strenuous, rough mountain trail. 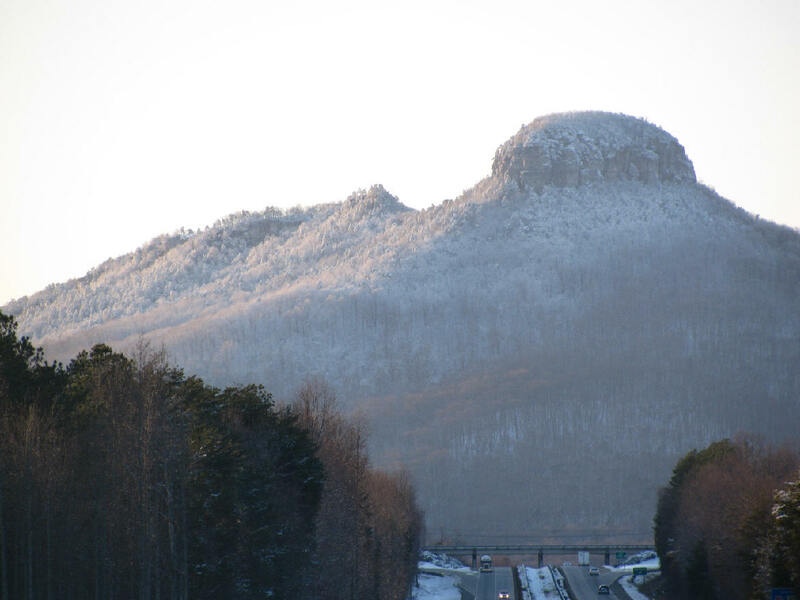 Pilot Mountain State Park offers an excellent day trip/mountain retreat for triad residents. Camping, picnics, and beautiful vistas in addition to the many moderate hiking trails. It is a great environment to enjoy the sunset over the Blue Ridge mountains. Whether you have all day or just a half hour, Pilot Mountain State Park provides you that quick getaway that lets you forget about all your big city worries. 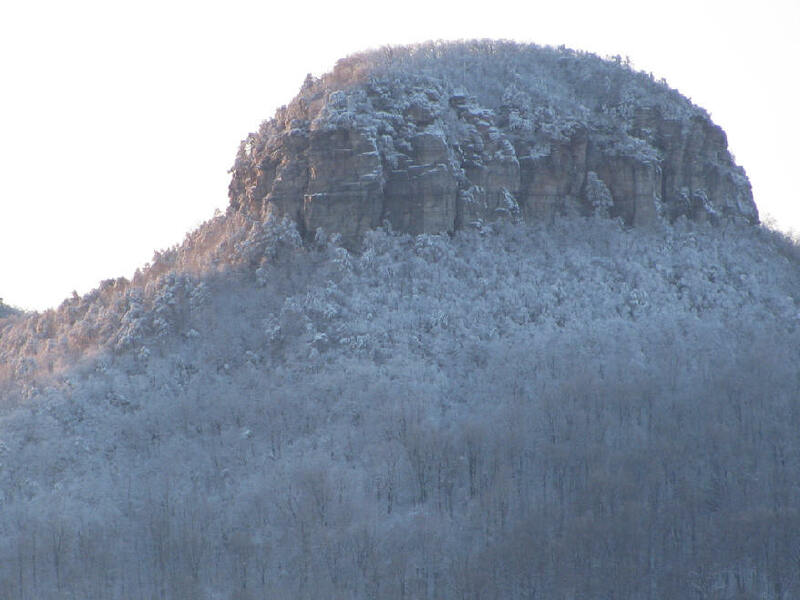 From the Parking lot near the top you can take a brisk walk to view the knob to your east. Or, sit back and drop the tailgate to watch the sunset over the Blue Ridge Mountains to the west! Follow the crest of the Blue Ridge north into Virginia or see the Winston Salem skyline on crisp, clear day. The main thing is just to kick back and 'set a spell'.